In a city where the temperature is known to hit triple digits for a majority of the summer, the best ice cream in Austin is more than simply delicious: it’s the key to our survival (along with a few icy cocktails at some of the best bars in Austin). Luckily, Austin offers no shortage of options—and plenty of those are dairy-free, too. 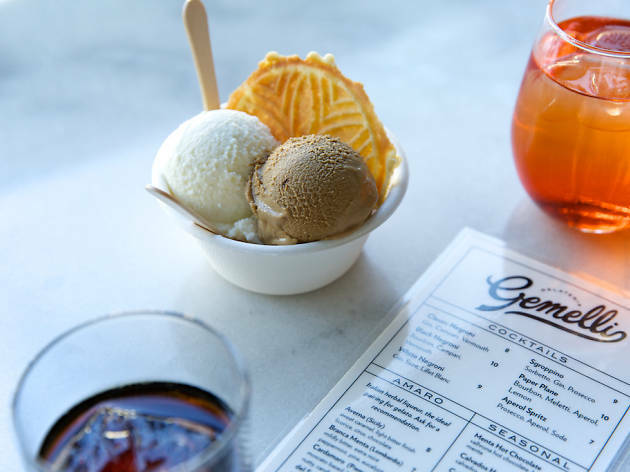 So if you’re looking for things to do in Austin when that mercury starts to rise, these are the best ice cream spots you need to hit. With their innovative flavors (ice cream infused with craft beer?) and dedication to great local ingredients, they will leave you grateful it’s ice cream weather about 11 months out of the year. 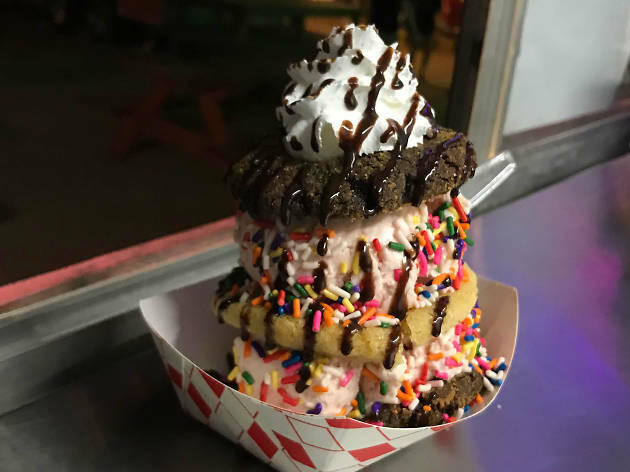 Tim and Corey Sorenson have developed a huge fan base since they opened in 2012, first slinging softserve to West Campus from a vintage emergency response vehicle and now with their own shop in Sunset Valley. 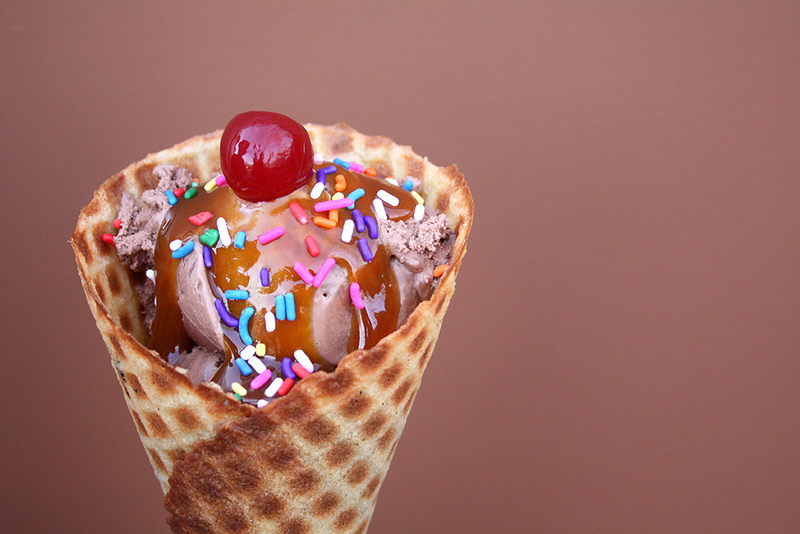 It’s no wonder they’ve caused heads to turn—this is no ordinary softserve. Two flavors are featured daily, made by infusing a non GMO milk base with the best quality ingredients around (from fair trade coffee to matcha green tea). Choose from a menu of housemade toppings and syrups or let these smooth operators build one of their insanely creative offerings, like Going Nutz, a layered sundae made with white chocolate softserve, brittle blonde chunks, caramelized white chocolate sauce and candied peanuts, or Margaritaville, made with strawberry margarita softserve, key lime bar chunks, molasses graham crumb and macerated strawberries. If you’re looking for authentic Italian gelato sans the overseas flight, Dolce Neve is your hot ticket. Co-owner Francesca studied the art of gelato making at Carpigiani Gelato University (Bologna, Italy) before refining her skills working for Gianfrancesco Cutelli at the acclaimed Gelateria De’ Coltelli (Pisa, Italy). 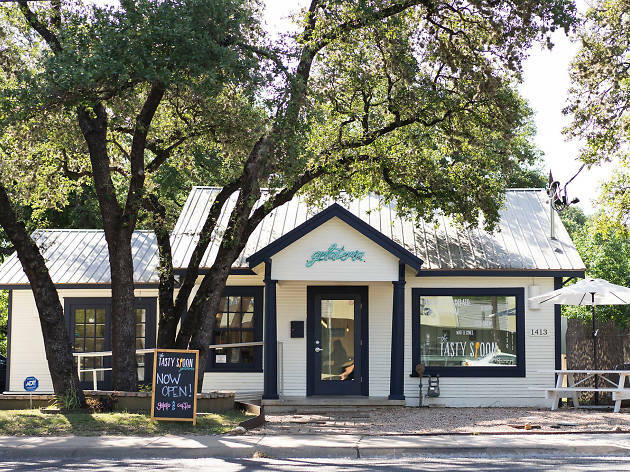 In 2014, she teamed up with her partner Leo and brother Marco to open Dolce Neve, bringing Austin real Italian gelato and sorbet made with fresh, seasonal ingredients: think sweet corn and blackberry gelato, nectarine sorbet, and sour cream and peach gelato. Be sure to try a refreshing granita; it’s one of the only places in town making the silky slush. Co-founders Anthony Sobotik and Chad Palmatier opened Lick in 2010, inspired by the small-town creameries Chad grew up with in Lancaster, Pennsylvania. 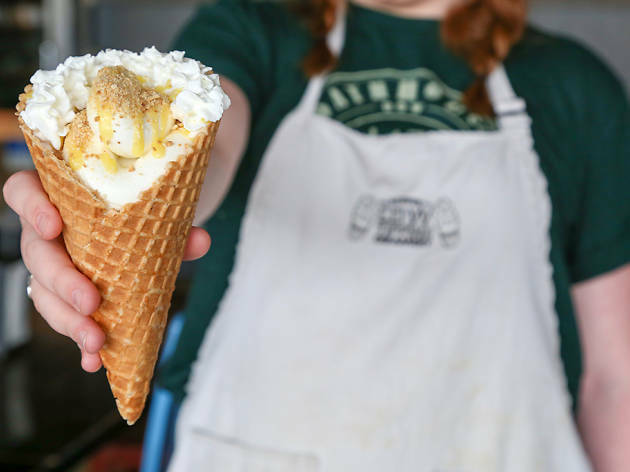 All their ice cream is made with non-GMO milk and cream from Mill-King Creamery (from outside Waco), seasonal fruits, vegetables and herbs from local farms plus local spirits, chocolate, honey, sugar, coffee, cheese and nuts; try the Lady Bird Lavender Crisp this summer. They also offer a menu of vegan options made with a coconut milk base, including fan favorites coconut/peanut butter/chocolate and carrot/ginger/coconut. 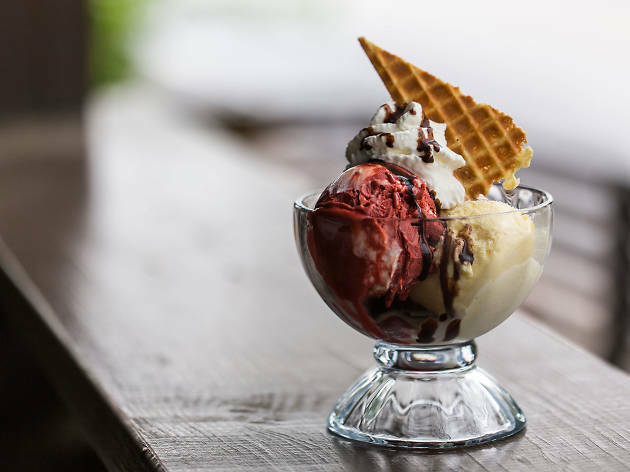 In 2016, Austin gained its first boozy ice cream parlor when Prohibition Creamery opened on East 7th Street. 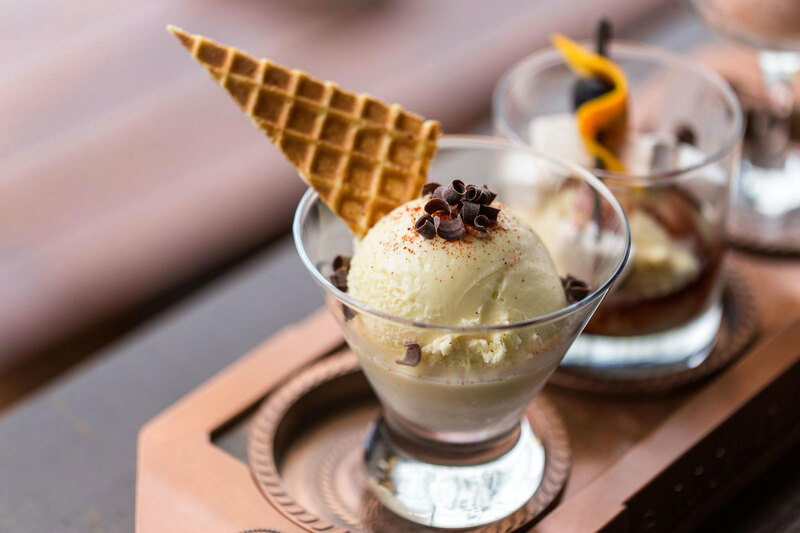 Owner Laura Aidan attended ice cream courses at Penn State University and Valrhona’s chocolate program in NYC, and worked under a French pastry chef in order to master the art of infusing ice cream with spirits. 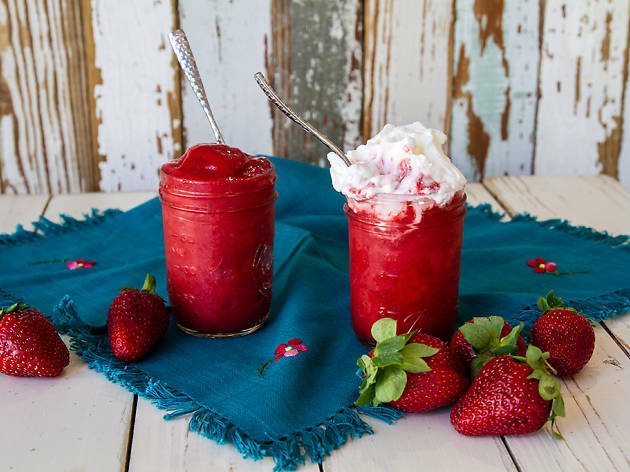 Boozy creations include ice cream in flavors like Patrón dark-chocolate sorbet and mescal vanilla, sangria shakes, milk-stout floats and triple-bourbon milkshakes. 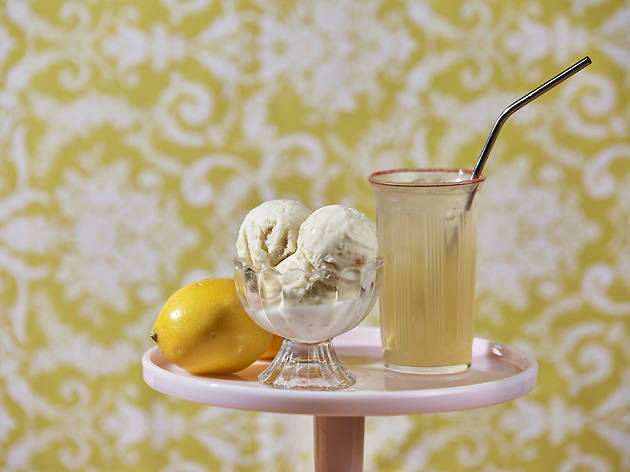 And each drink on the cocktail menu was actually crafted to pair with one (or more) of the ice cream flavors—just ask your bartender for recommendations, and pretty soon you’ll be sipping a Mexican Firing Squad alongisde your pineapple tequila sorbet. The ice cream at Austin's first liquid nitrogen shop begins with non-GMO, hormone-free, grass-fed dairy from Liberty Dairy (Hico, Texas), plus fair-trade chocolate and organic, local produce. Each serving is spun to order with liquid nitrogen, which produces more condensed ice crystals, resulting in a smooth and ultra fresh frozen dessert. You'll also find toppings like citrus confetti, corn cookie crumble, caramel popcorn sprinkles, Earl Grey shortbread crumble and Meyer lemon curd. While vanilla bean and dark chocolate are always on the menu, two other flavors rotate quite frequently—and one is always dairy-free. After occupying the space inside Juiceland in Hyde Park for more than four years, Sweet Ritual relocated to its own brick-and-mortar space on Airport Boulevard. 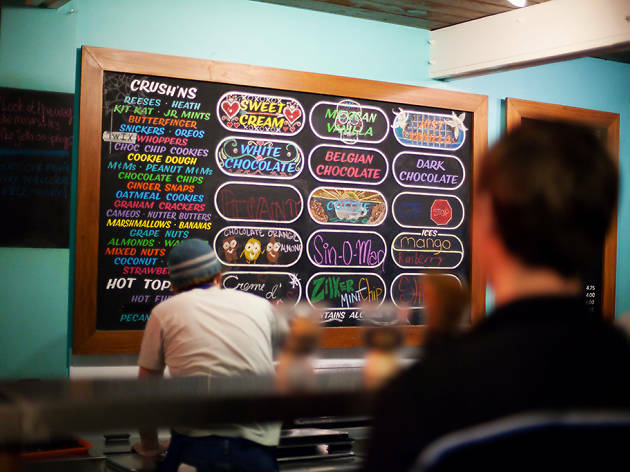 The increased production space means more pints and ice cream sandwiches for sale, room for experimentation with new frozen desserts and ice cream cakes, and more parking. Made with coconut, cashew, almond, peanut and sunflower butter bases (depending on the flavor), their ice creams come in 12 regular flavors plus four rotating specials. 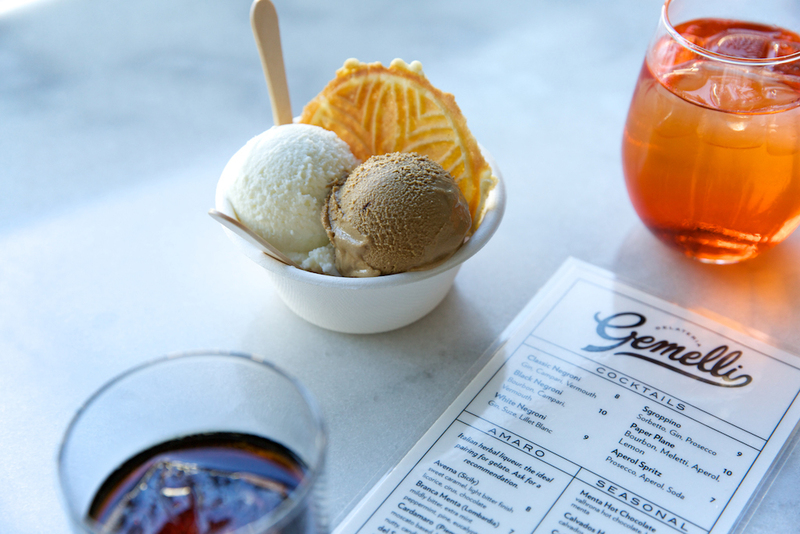 Owners Andrew Sabola and local food stylist Meghan Erwin trained at Carpigiani Gelato University before opening Gelateria Gemelli in the bottom of the Corazon building on East Sixth Street. 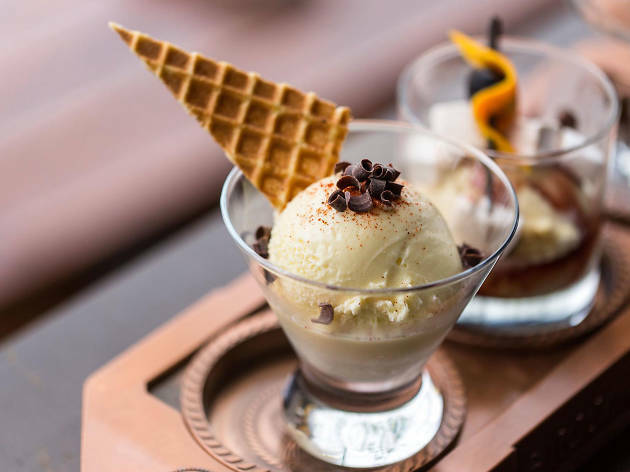 Using traditional methods and local ingredients, they craft 12 flavors of gelato and sorbetto, including Earl Grey and a stracciatella made with Fernet Branca and Valrhona dark chocolate. 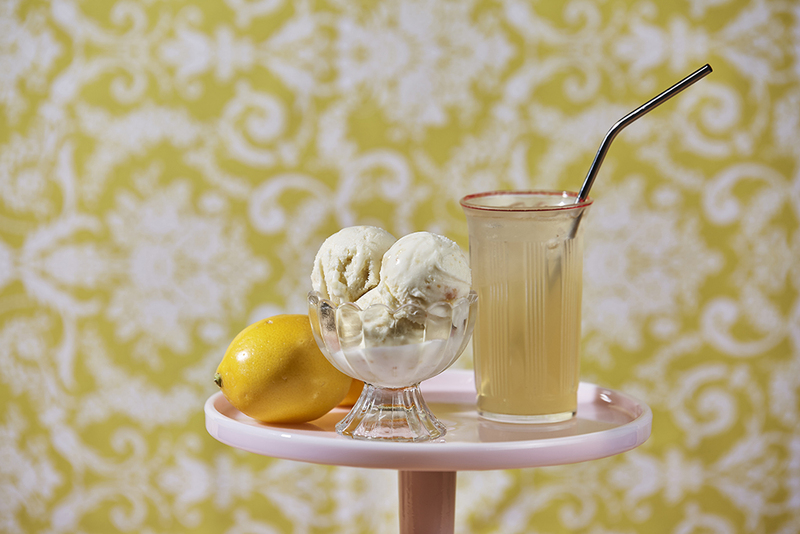 The classy retro shop also carries a wide selection of amari, best enjoyed neat alongside a scoop of gelato. 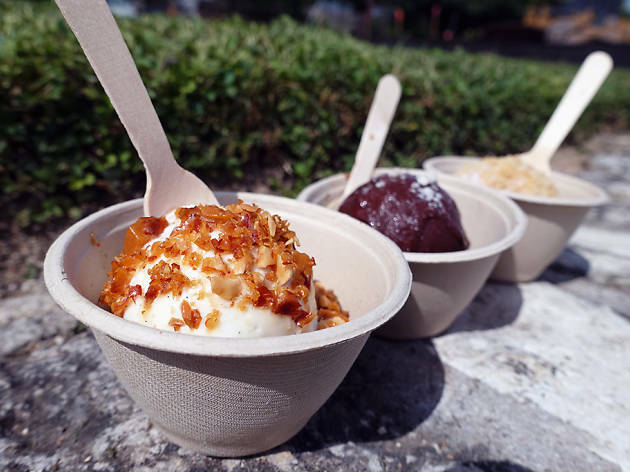 Not only does Jam Sanitchat and her team at Thai Fresh craft a menu of delicious Thai food (with plenty of gluten-free options), but they also make all their own vegan ice creams in house. Each flavor is made with a coconut milk base sweetened with organic, fair trade evaporated cane juice and local seasonal fruits. Rotating flavors include ginger lemongrass, Thai basil, lavender, salty tamarind, Texas corn, Thai tea and mango lime. 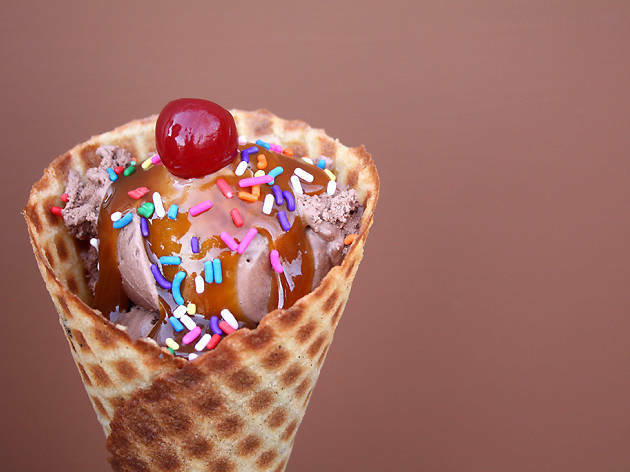 Also available are vegan, gluten-free waffle cones, gluten-free ice cream sandwiches and seasonal sundae specials. 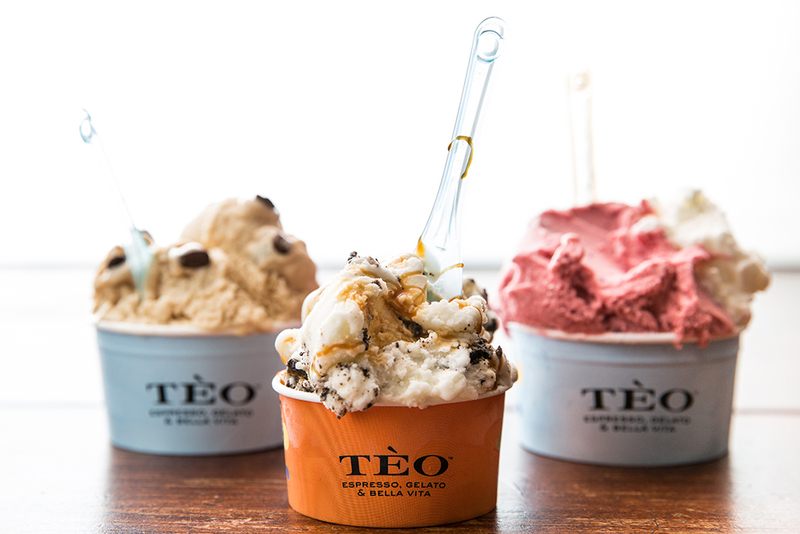 Matthew Lee opened Tèo in 2003, introducing our city to authentic Italian gelato for the first time—and for that we are forever grateful! Since then, he has developed over 500 recipes using local ingredients, such as Pure Luck goat cheese with cherries, Texas whiskey with pecans and Rio Star grapefruit Campari sorbet. 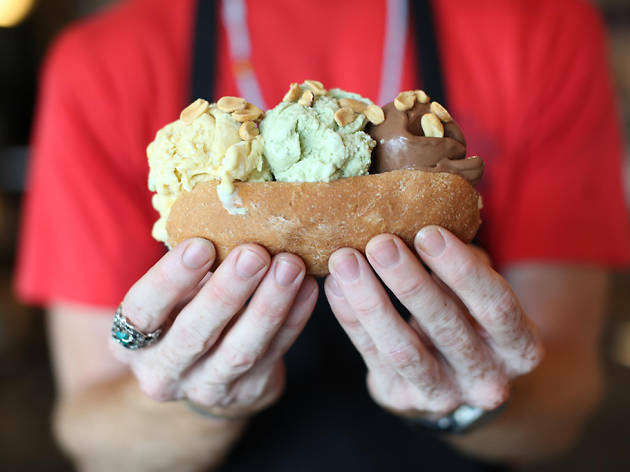 Lee has also represented Austin in the Gelato World tour for two years, and was named one of the top five gelato-makers in 2014 for his Nuts flavor made with Nutella and peanut butter. 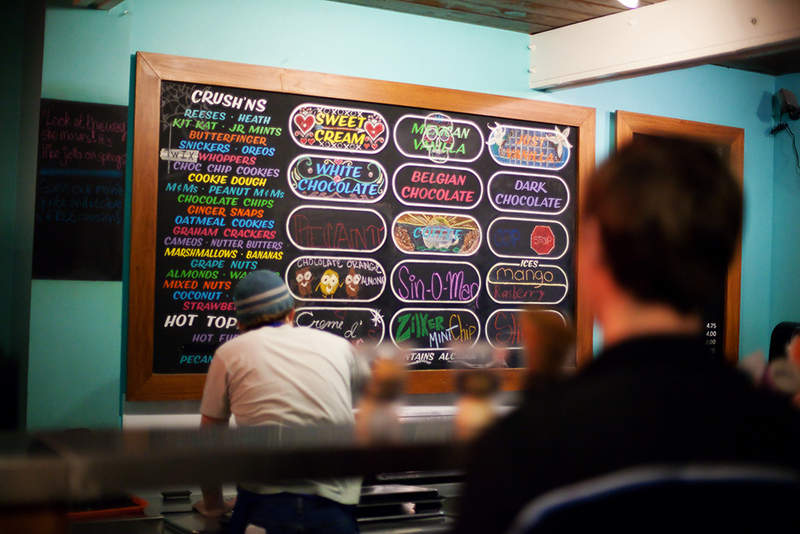 This retro candy-colored truck specializes in ice cream sandwiches built for you on-site. 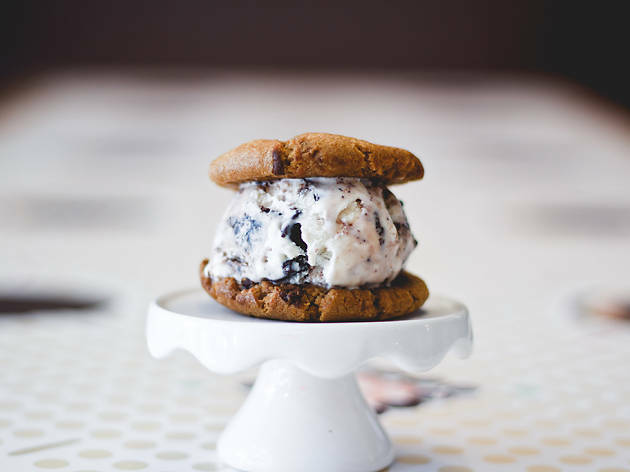 Choose from a list of freshly baked cookies in flavors like snickerdoodle, s'mores and Reese's peanut butter cup, then select an ice cream, made locally at Austin Scoops and offered in a variety of flavors like mint chocolate chip and salted beer. Craving something other than an ice cream sandwich? Get a cookie on the side of your scoop—or opt for a cookies shake. How can two rights make anything wrong? 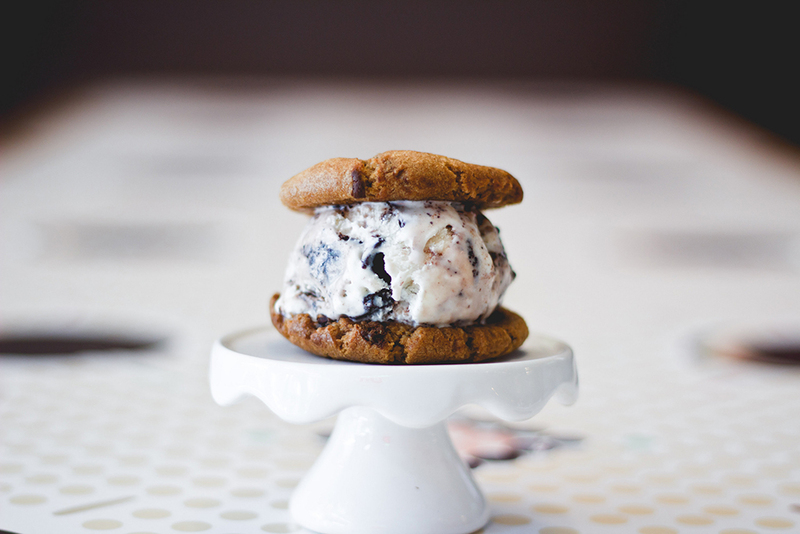 That's precisely the concept behind Moojo, the campus-area shop specializing in customized ice-cream sandwiches. Choose from a menu of fresh-baked cookies then choose an ice cream flavor to go inside and housemade toppings to finish it off. Or pick from their menu of favorite creations, like the Chip Off the Rock (Rocky Road cookie with mint-chip ice cream), Strawberry Fields Forever (butter sugar cookie with strawberry ice cream.) 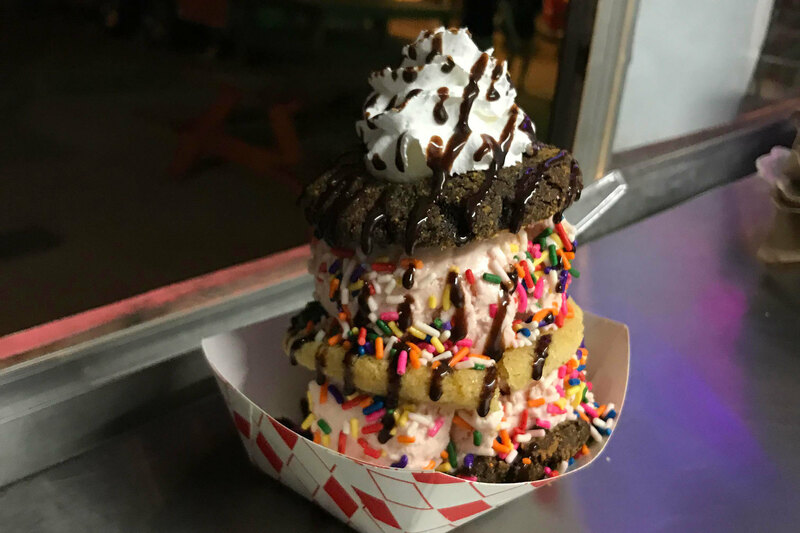 Of course, cookies and ice cream can also be enjoyed on their own—or you can take things to the next level and make a brownie or Belgian waffle sandwich instead. 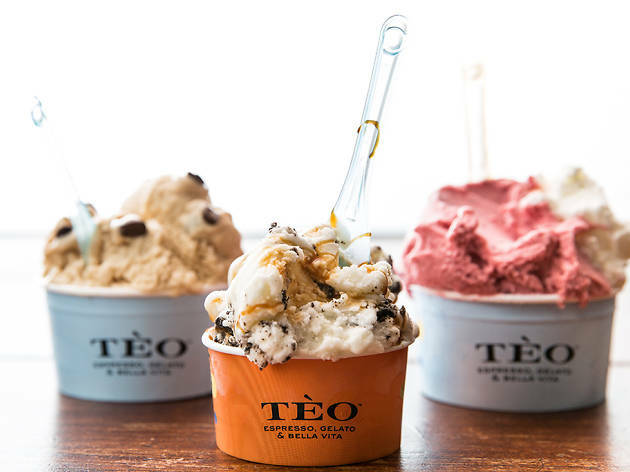 Housed in a quaint cottage on a quieter end of South First Street, the Tasty Spoon serves homemade gelato using locally sourced ingredients, with flavors like pistachio, watermelon sorbet and honey lavender. Pair it with an espresso or flat white from Third Coast Roasters, and enjoy your treat under the shade of Tasty Spoon's 120-year-old oak tree. Dogs are welcome! 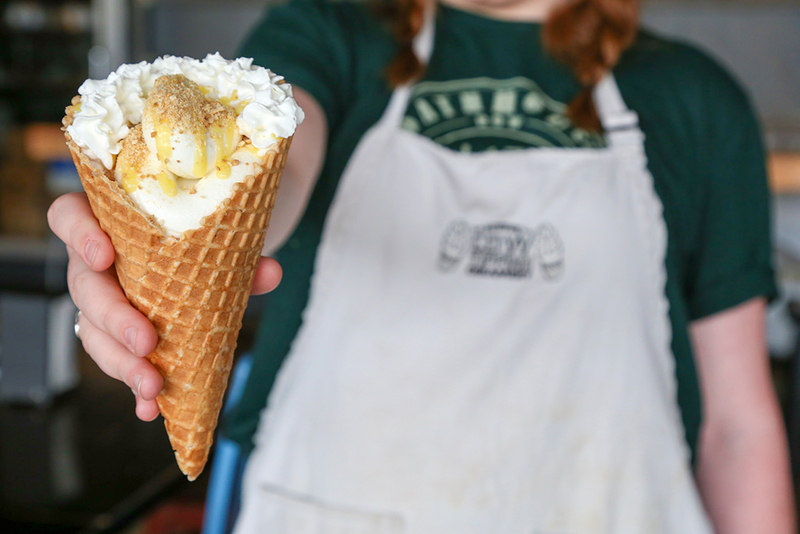 It’s impossible to talk about ice cream in Austin without mention of Amy’s—after all, Amy Simmons was the first to begin experimenting with creative ice cream ingredients way back in 1984. 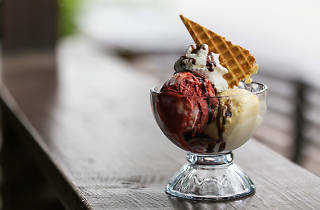 Now, the company has grown to over 350 flavors of ice cream and fruit ice which are rotated through multiple shops around town, and served with flair by trick-wielding scoopers. 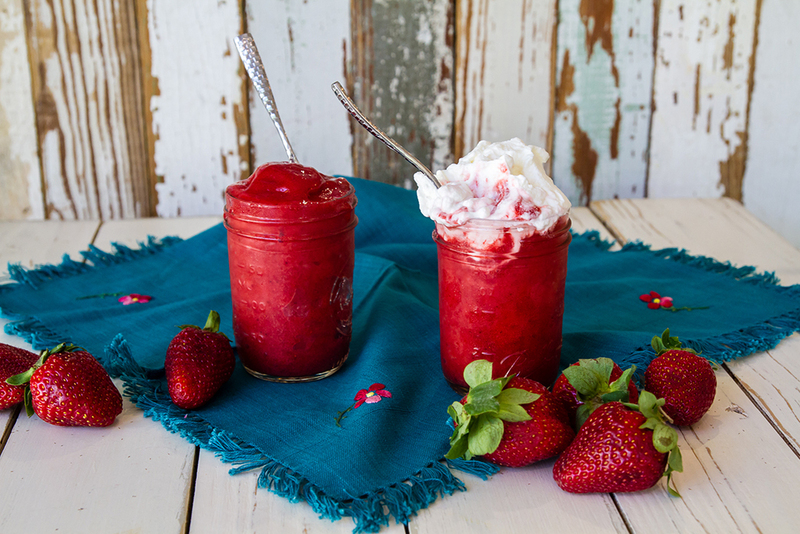 Try one of their boozy varieties, like Shiner Bock (infused with the beer) or Tito’s the Dude (made with sweet cream, Tito’s vodka and Kahlua) or stick with their signature Mexican vanilla, which can be gussied up with a number of crush’ns and toppings. Looking for some more dessert options? 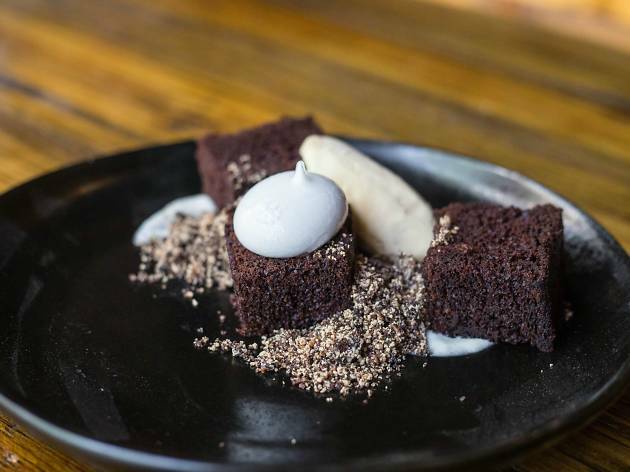 There are plenty of places where it just might be worth it to have dessert before dinner.